The P&P95Forever Club: Game the Forty-Second: What's Wrong With This Quote? Game the Forty-Second: What's Wrong With This Quote? I'm one of those people who goes out in public wearing a shirt that says "I Randomly Quote Jane Austen." (So is Miss Marianne, in point of fact.) And as any avid Jane Austen (or, specifically, P&P) quoter will tell you, the most embarrassing thing in the whole world is getting a quote wrong-- unless maybe it's accidentally speaking words that came from FakeP&P. "You have bewitched me, body and-- UGH WHAT AM I SAYING CALL THE POISON CONTROL CENTER." The point of this game is to test your expertise in the area of P&P95 quotes. I have compiled a list of ten quotes from the miniseries, and each one has something wrong with it. Sometimes it's as little as one word being changed-- sometimes it's as big as being cited with the wrong character. Your job is to figure out the mistake and leave your answers in a comment. One try per person, and we'll announce a winner on Saturday. So... how well do you know the dialogue of P&P95? Now... let me see if I've got this right, Jane. Your father's sister is named Mrs. Phillips? Lady Catherine de Bourgh. Indeed I am, sir. I have been invited twice to dine at Rosings Park. I have been treated with such affability, such condescension, as I would never have dared to hope for. I’m sure she could not have bestowed her kindness on a more grateful recipient. Mr. Darcy, I really believe you take too much upon yourself. you seen my new locket? Almost from the earliest moments of our acquaintance I have come to feel for you a passionate admiration and regard which, despite all my struggles, has overcome every rational objection; and I beg you, most ardently, to relieve my suffering and consent to be my wife. Kitty, you're squashing my bonnet! I'm not romantic, you know; I never was. I ask only a comfortable home and a respectable husband. And, considering Mr Collins' character and situation in life, I am convinced that my chance of happiness with him is as fair as most people can boast on entering the marriage state. I confess I’ve hardly had time to write; my young cousins have commandeered almost every moment! But they are such dear children. Our mother indeed finds their exuberance a little trying for her nerves. And I am sure he and his wife kept a very good sort of shop before his elevation to the knighthood. Poor Darcy, what agonies he must be suffering. OOOH FUN. You're so clever. 1. That would be mother's sister? I actually don't remember her saying that, though, while I do remember her saying "and your mother's brother lives in London?" 2. I have no comment at this time. But this is not a guess. Haha. 5. That would be the locket that Lydia brought her from Brighton. 6. This is tough but I don't think he said "ardently" there... it was "fervently", maybe? 8. It's comfortable home and something else, not "respectable husband"... do I have to say what it is? 9. No comment at this time. I'm too distracted to think very distinctly. 10. It's just "he kept a very good sort of shop", not "he and his wife"... I think. 2. invited three times (not twice) to dine at Rosings Park? 3. 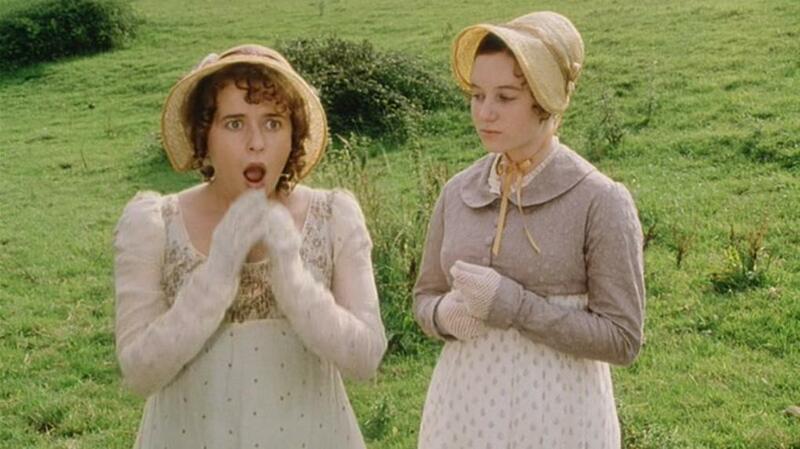 Elizabeth Bennet not Jane Bennet? or is it "attentions" instead of "kindness"? 4. Caroline Bingley said this, not Lizzy. 5. "Lizzy" instead of "Mary"? 6. "beseech" instead of "beg"? 7. something else instead of "squashing"? 8. respectable "situation" instead of "husband"
9. "commanded" instead of "commandeered"? 10. "his lady" instead of "his wife"? 2. dined four times at Rosings not two. 4. Mr. Gardiner says this not Lizzy. 5. I believe Lydia said this. 6. Oh gosh, hmmm . . . I should know this. I'll go with he says "and accept my hand." 9. it's "my nieces and nephews." Why is it nieces and nephews when they are really her cousins? 10. take out "and his wife"